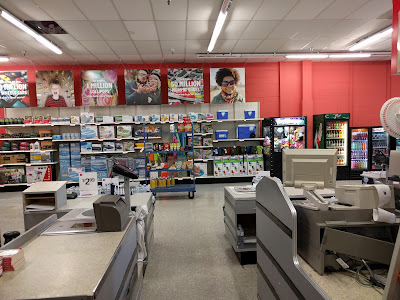 Greetings Kmart World readers! You may look at the title of this post and say 'Isn't there another post with the same name?' 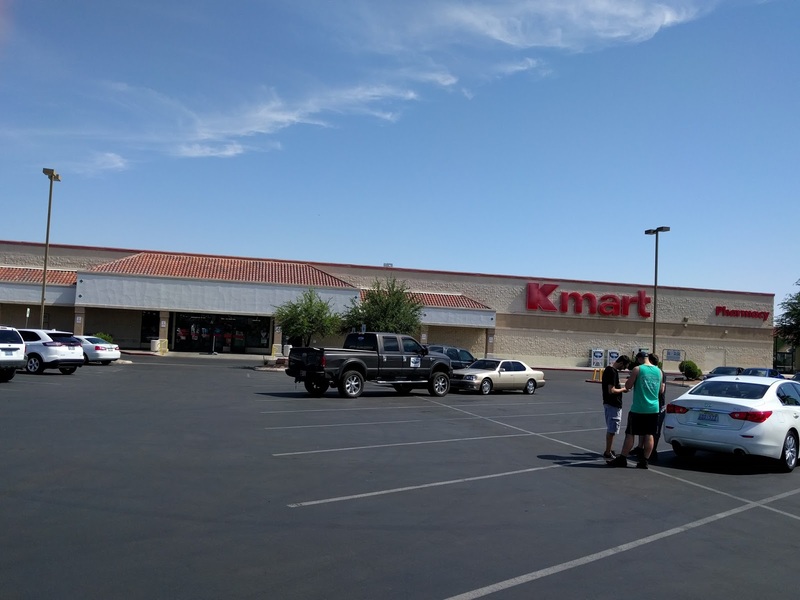 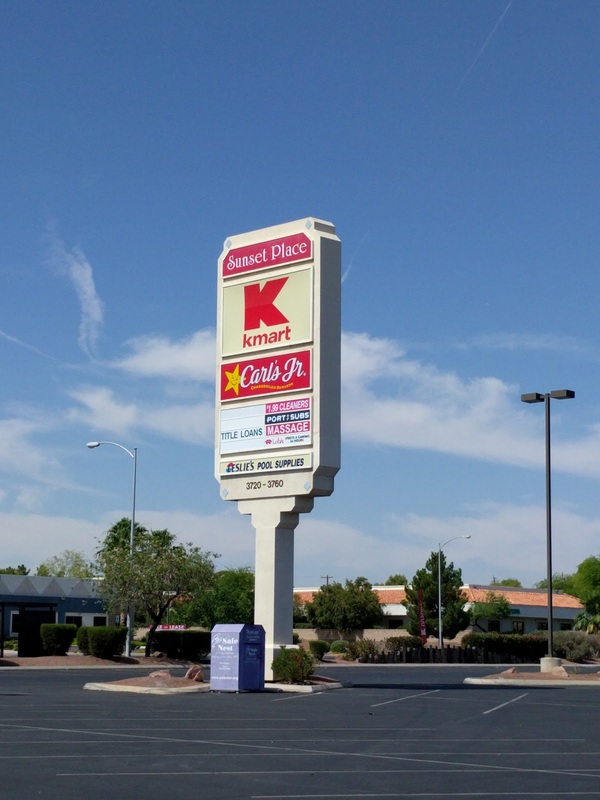 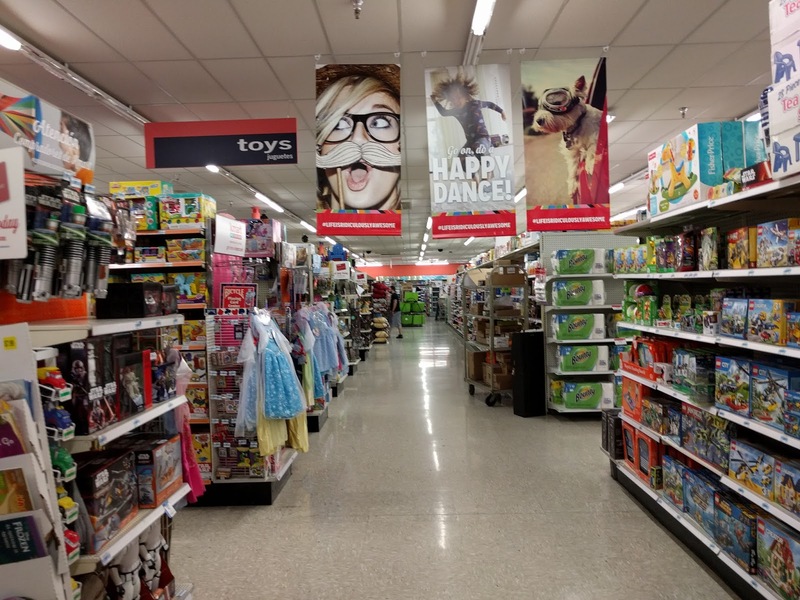 The answer is yes, but this is a different Kmart we are spotlighting in Las Vegas. 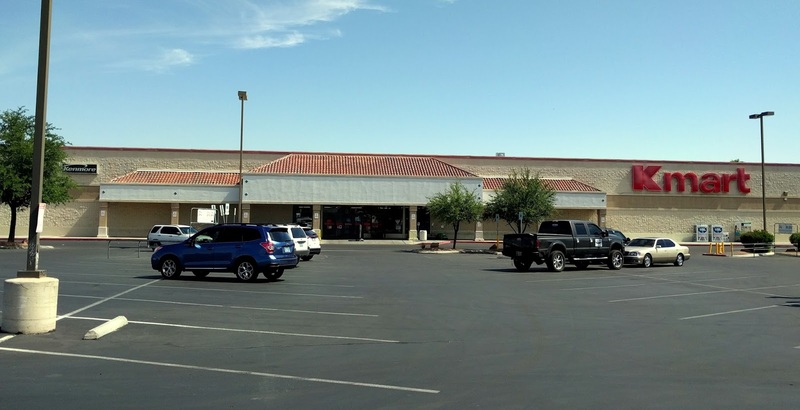 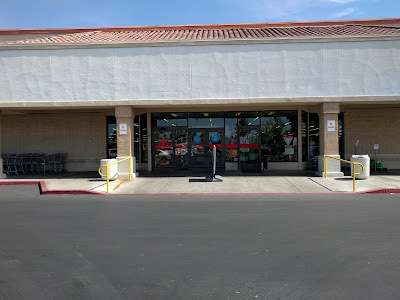 This a an older location in a different part of Las Vegas compared to the other store we featured previously. 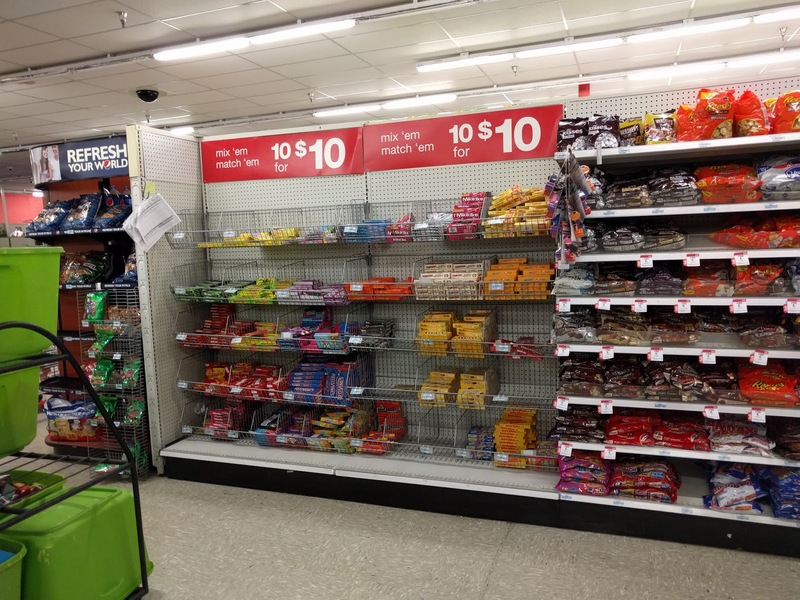 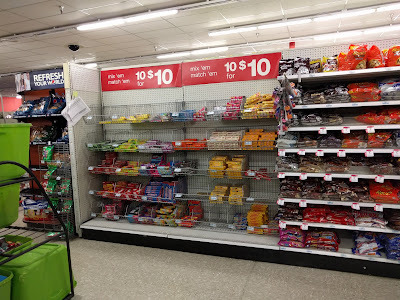 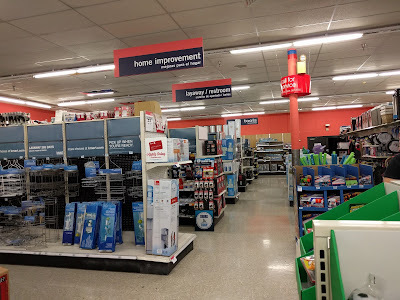 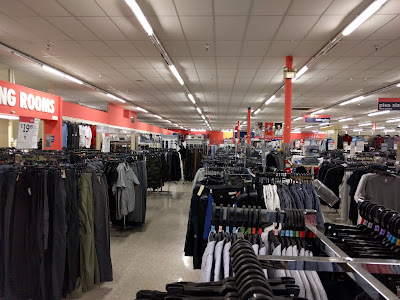 Unfortunately for this store it was announced on June 7, 2017 it would be closing for good along with a list of 50 other Kmart and Sears stores. 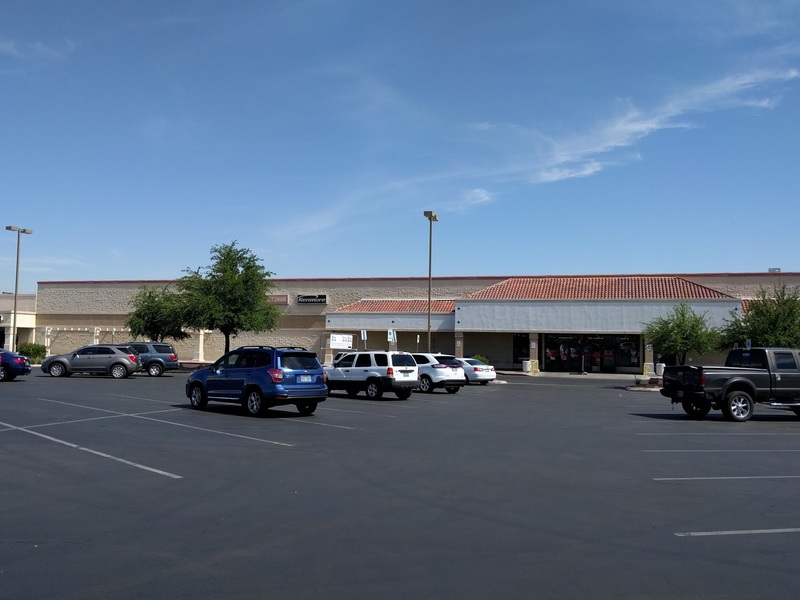 It is located on a busy stretch of Sunset Road just east of McCarran International Airport and about 15 minutes from the Las Vegas strip. 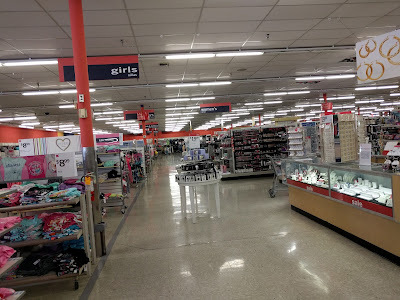 This location opened on November 17, 1988 and is 86,479 square feet, which is on the smaller side for a Kmart store. 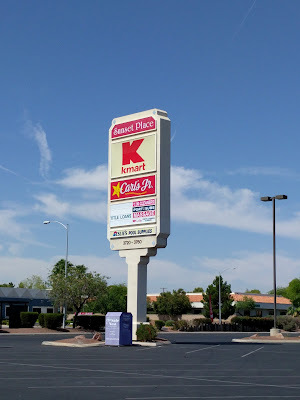 It has the updated logo on the outside of the building and on the road sign. 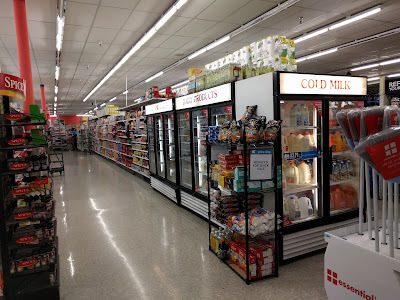 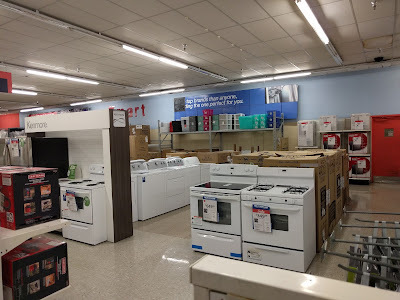 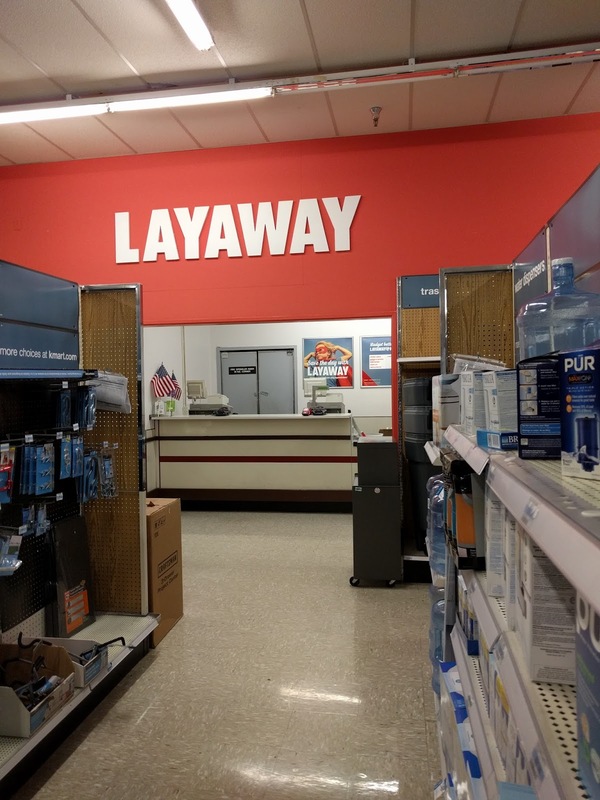 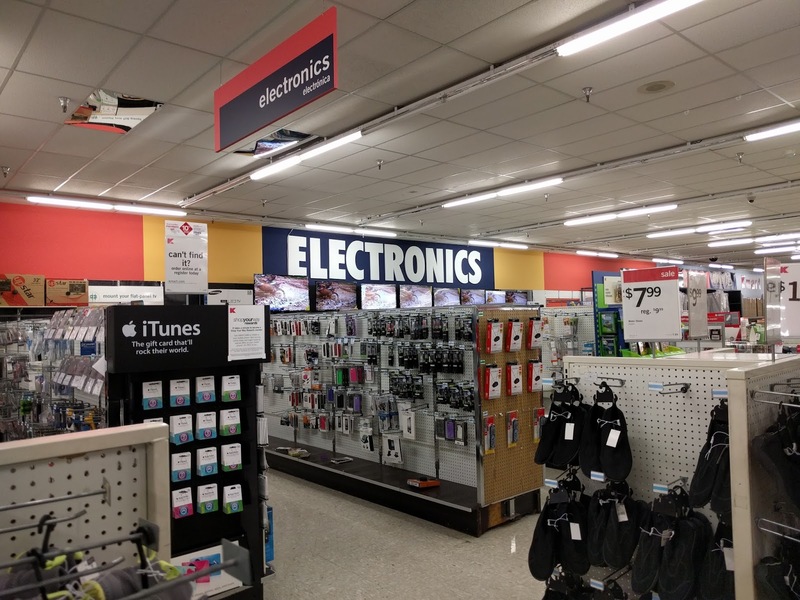 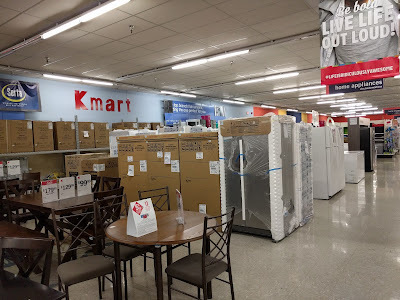 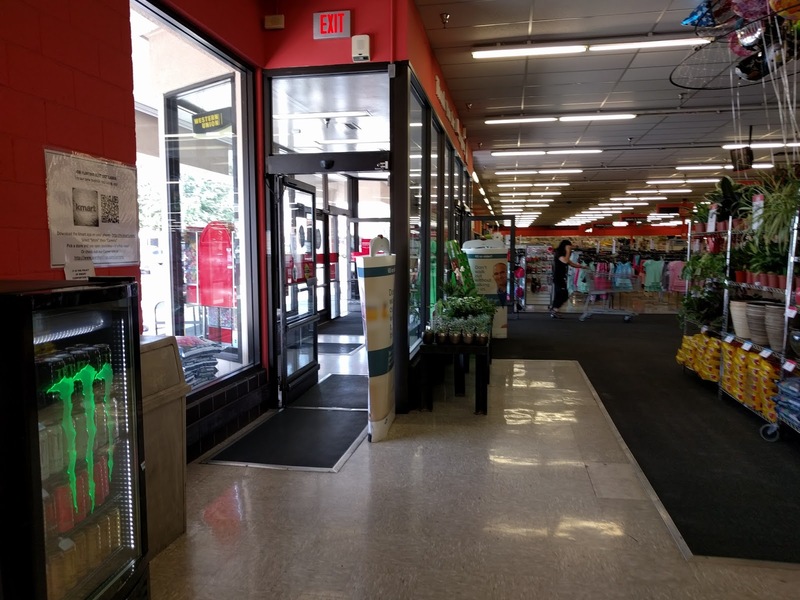 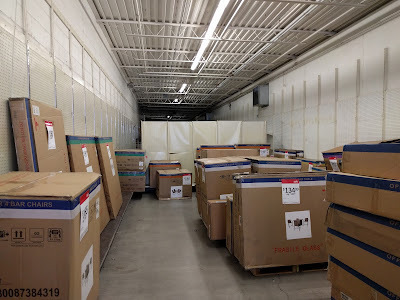 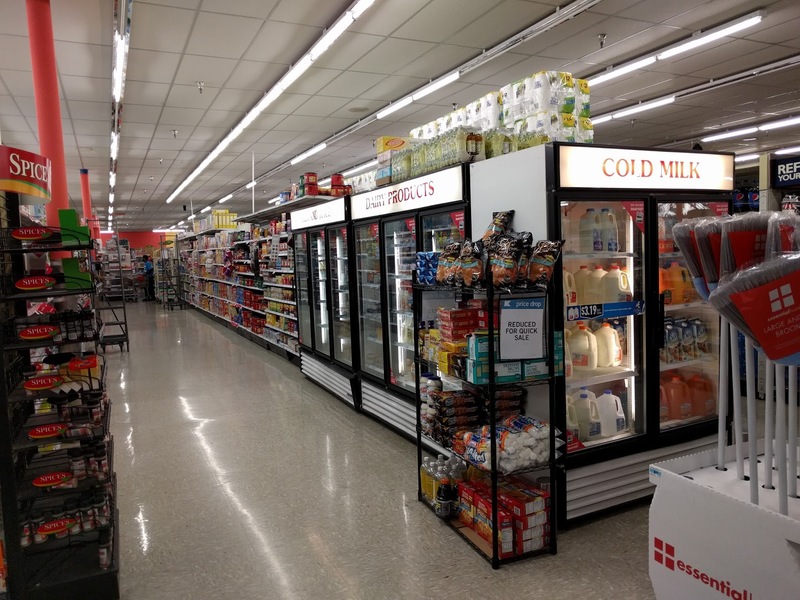 As far as the inside of the store goes, the walls have been updated with red paint, the customer service desk and the jewelry desk have been updated, the department signage was updated in the early 2000's, and they added a large appliances department in the last few years. 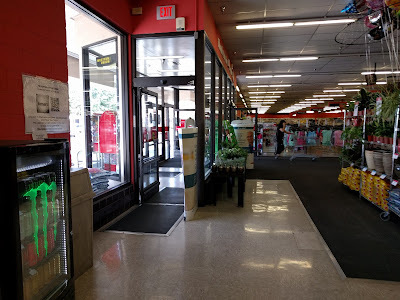 Other than those changes, this store still looks about like it did when it opened in 1988. 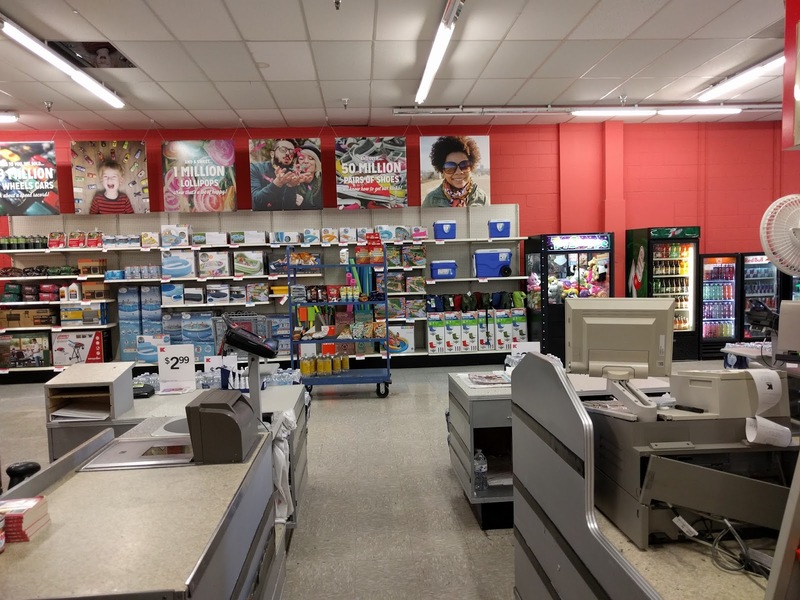 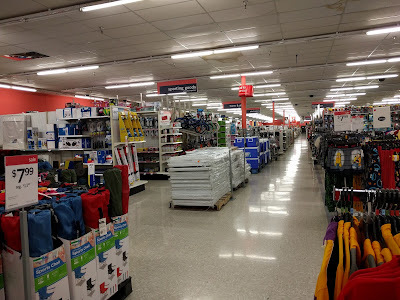 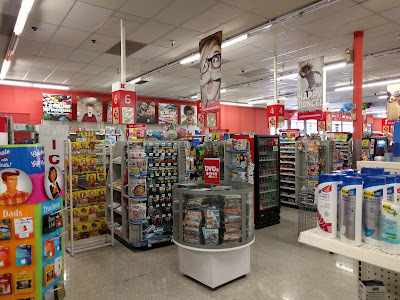 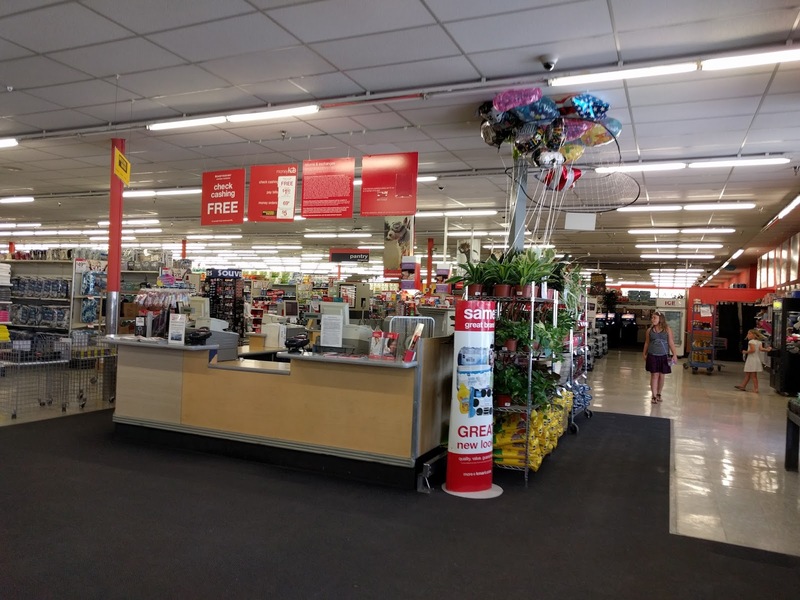 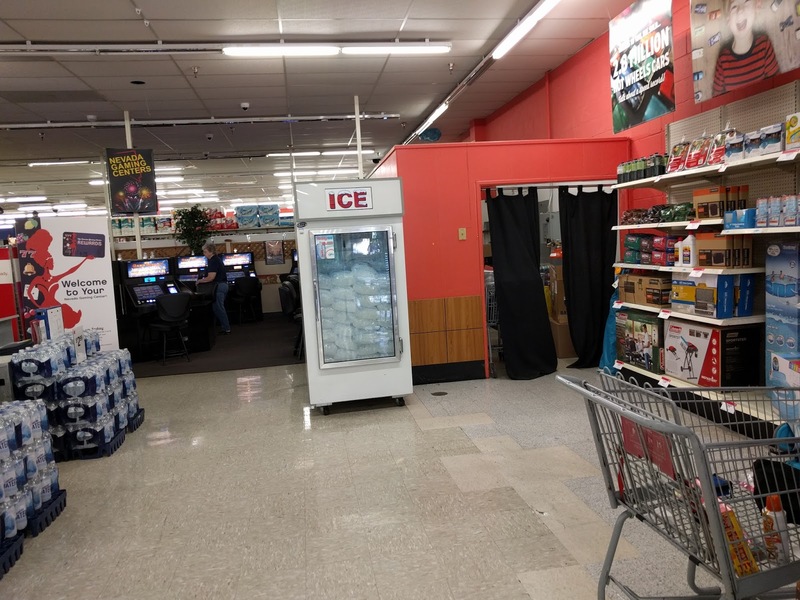 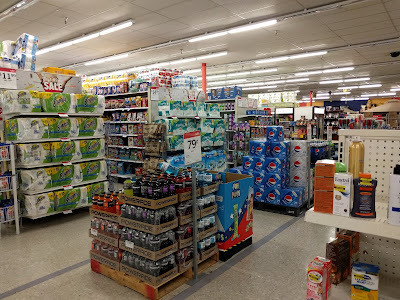 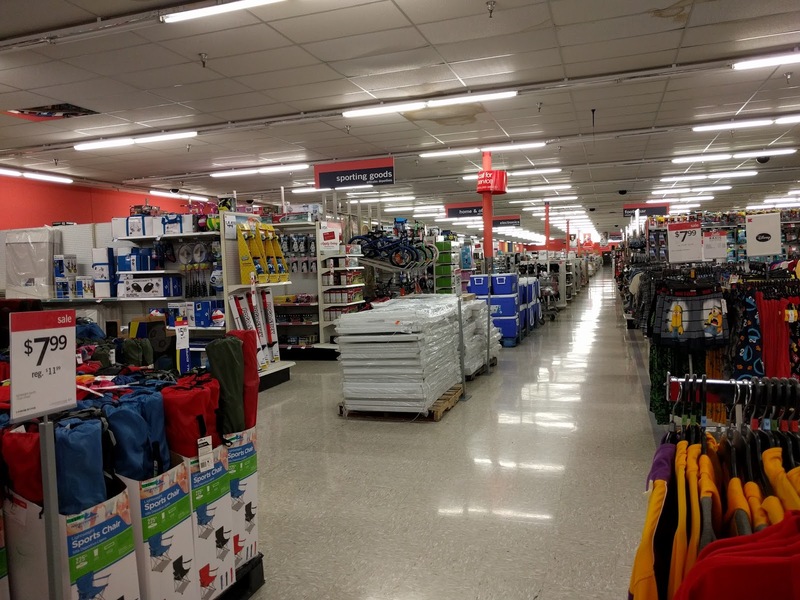 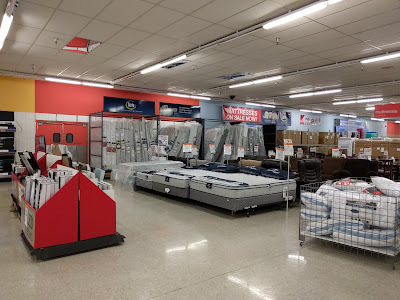 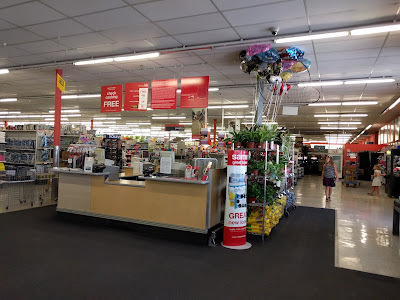 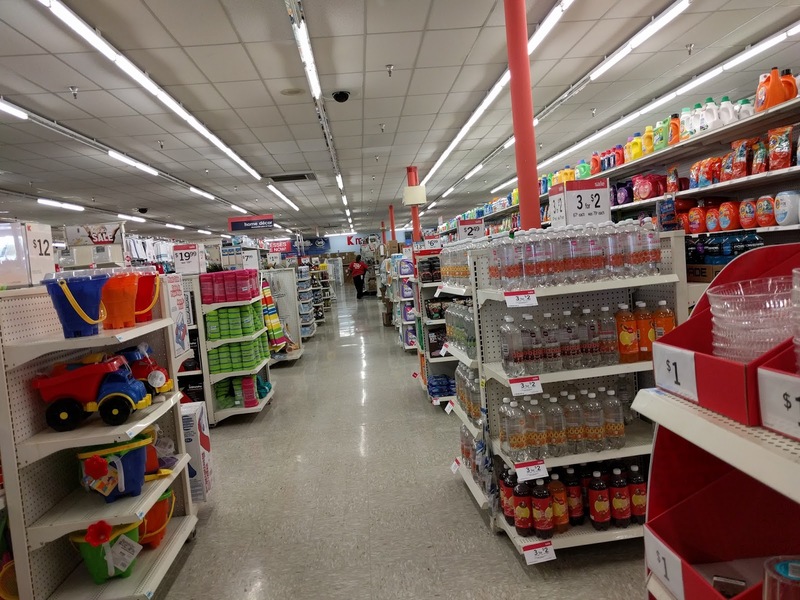 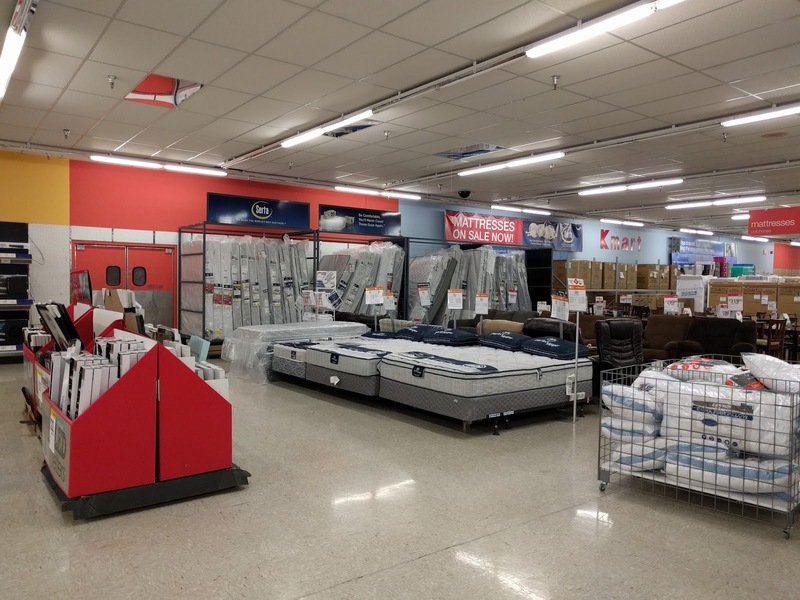 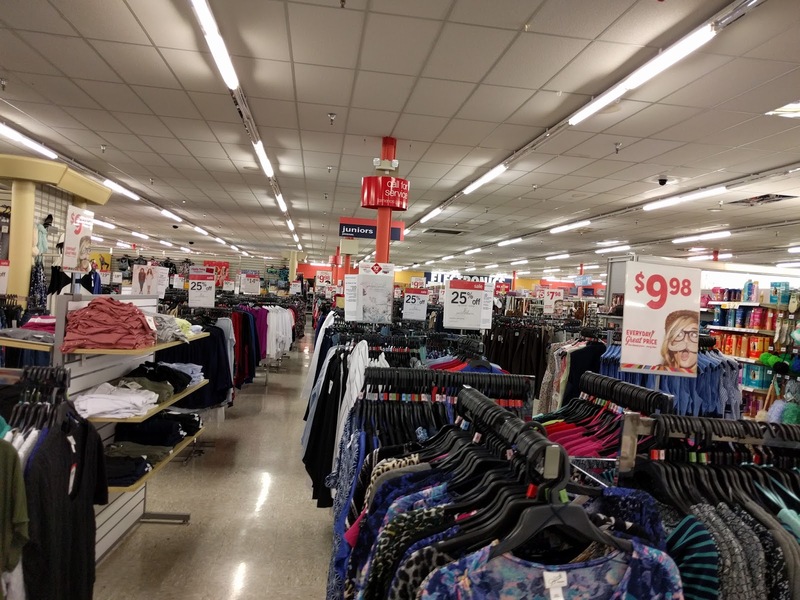 The ceiling in this store is extremely low, even for a Kmart store and it adds an overall sense of claustrophobia to this already smaller location. 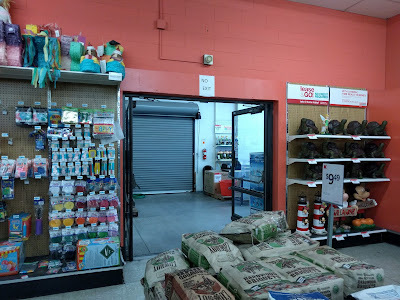 This location never had an Auto Center and it used to have a small K Cafe snack bar behind the registers but that was removed years ago. 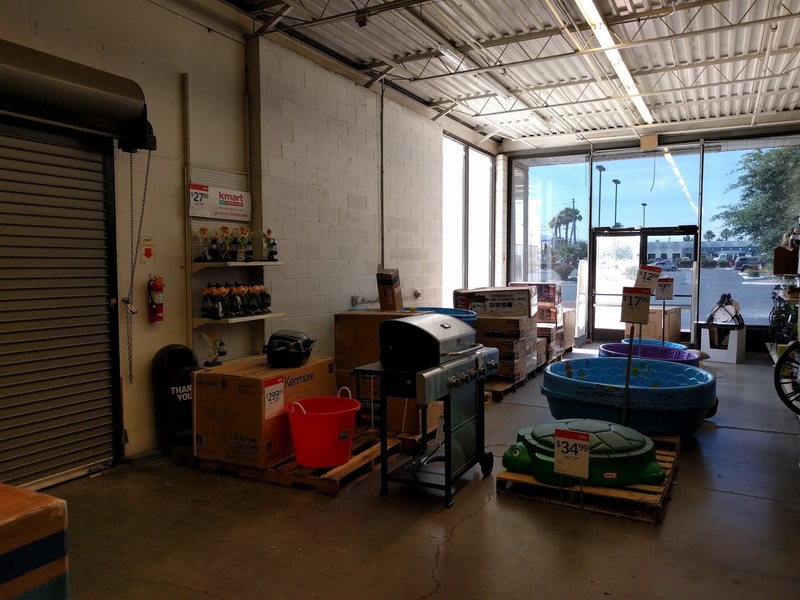 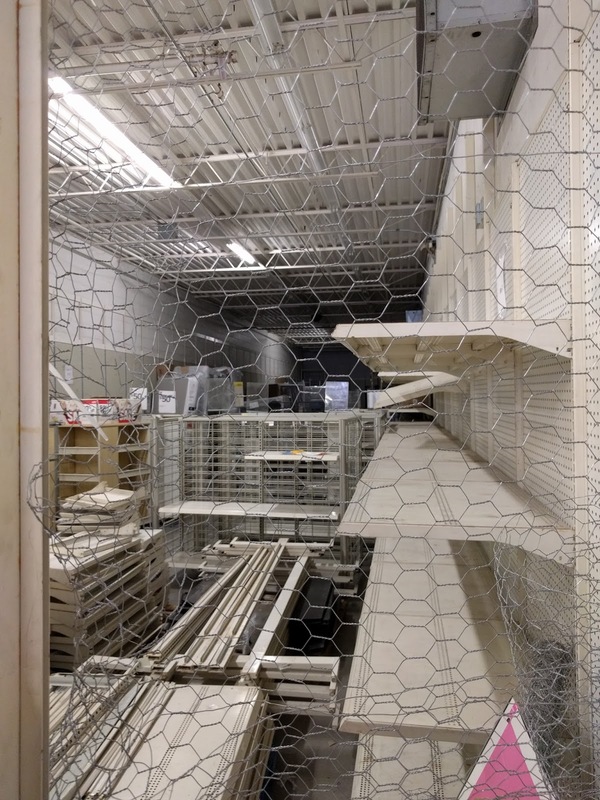 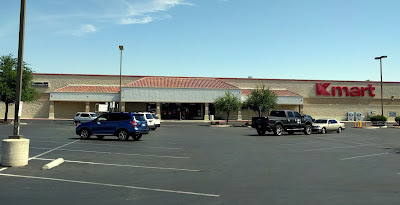 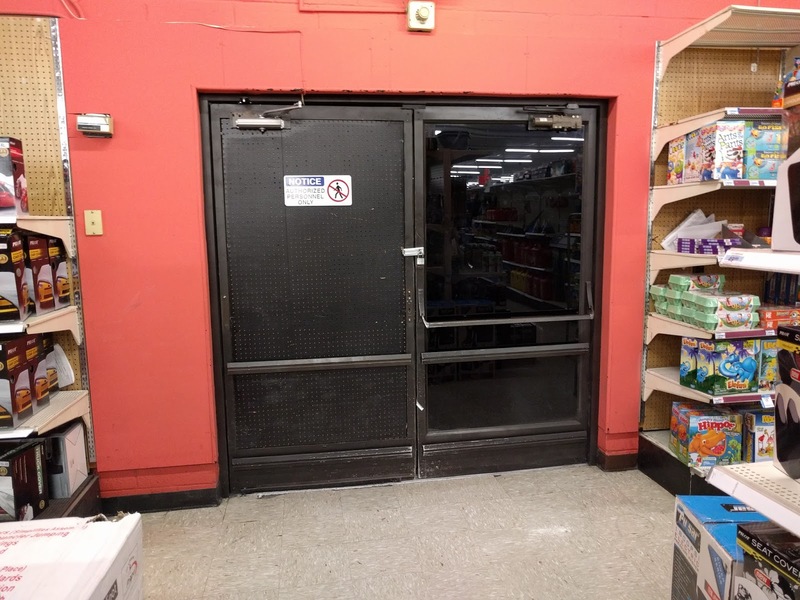 The outside garden center is closed off and no longer used, the inside garden area is partially closed off with the remaining space used mainly for boxed patio furniture storage. 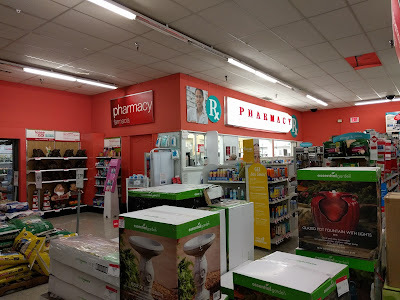 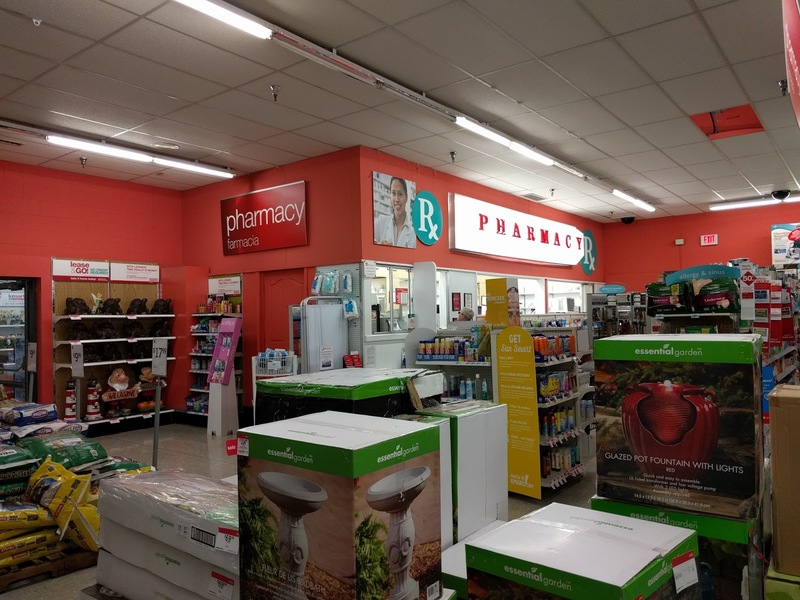 The pharmacy is still open with pharmacy signage above it original to the store opening in 1988. 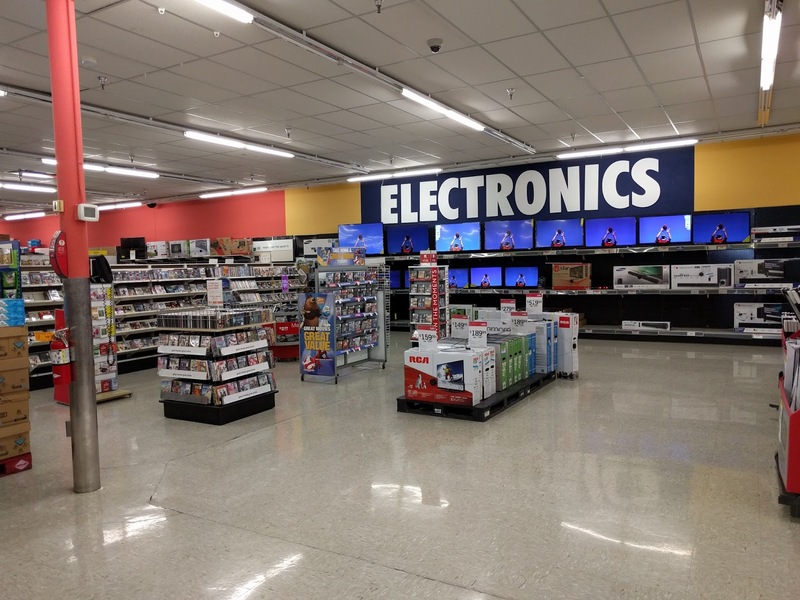 The electronics department still had a decent selection of TV's and lots of DVDs, but other than that the electronics department was nonexistent. 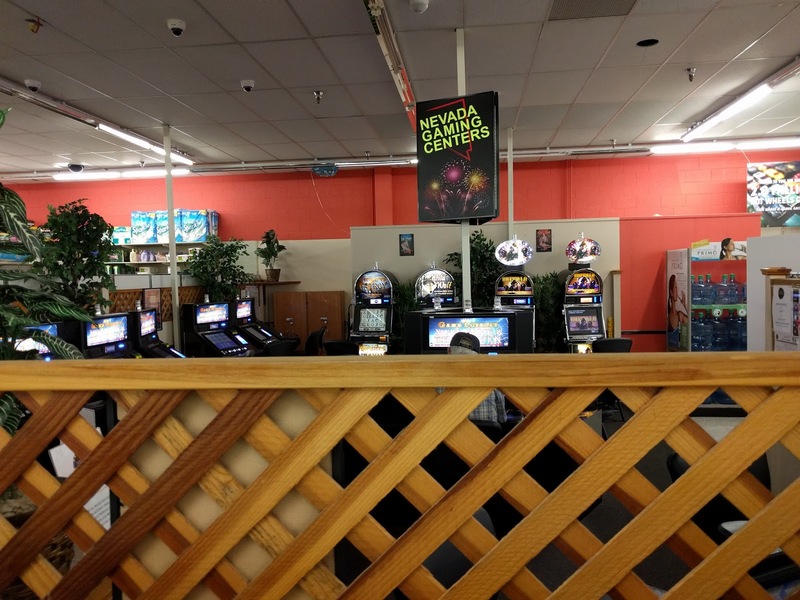 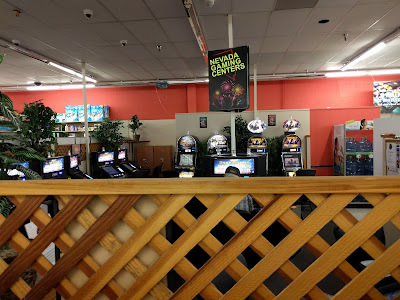 This store features a slot machines area next to the checkouts which seems to be exclusive to the Las Vegas area Kmart stores. 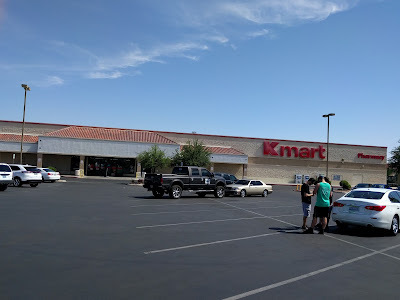 Other than that there isn't a whole lot to say about this store. 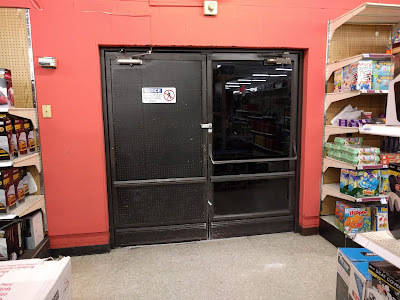 These pictures were taken on June 8, 2016, almost exactly a year before this store was announced to be closing. 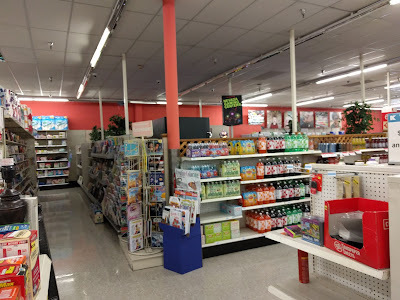 One thing you'll notice in the pictures is the lack of customers. Theses pictures were taken at 1pm on a Wednesday and there was almost no customers in the store, which is probably way this store is now closing. 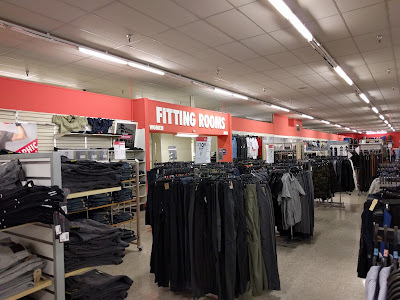 Enjoy the rest of the pictures and leave your comments on this store below.